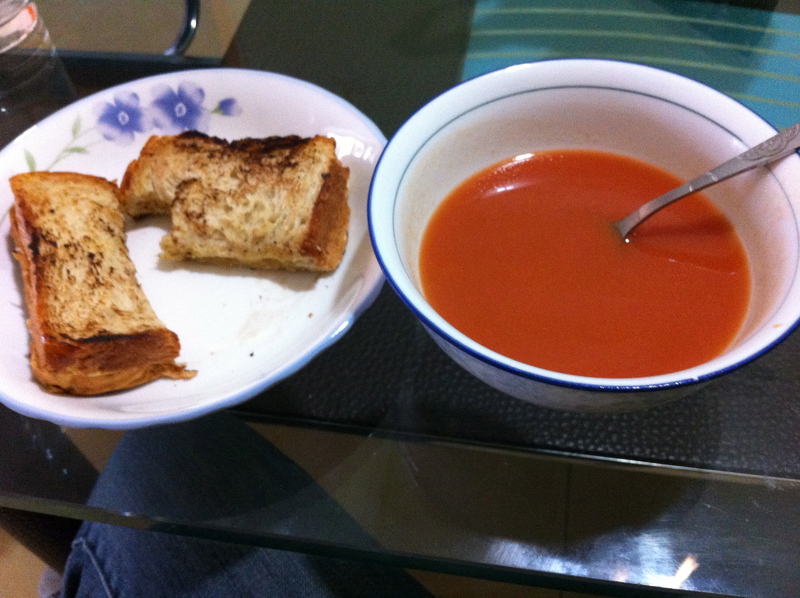 I’ve had some great food to eat recently… I’ll let the pictures do the talkin’. 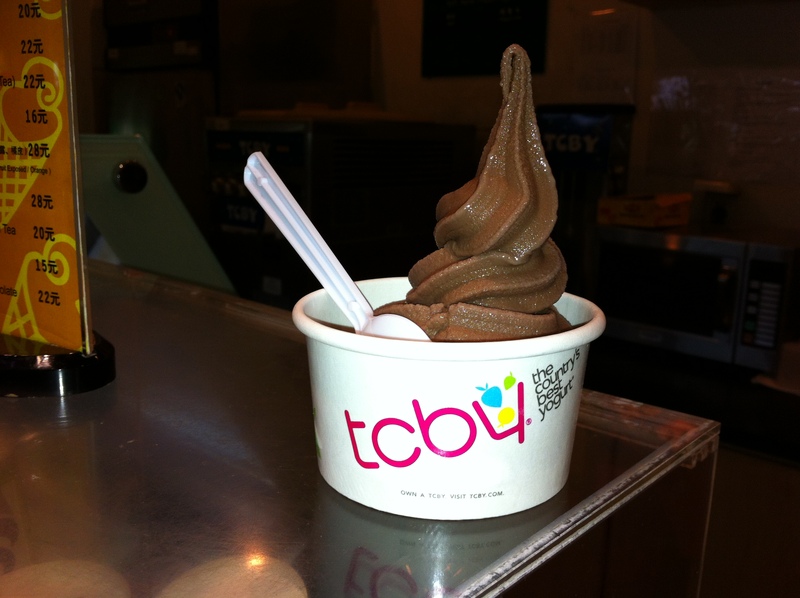 TCBY! In the Beijing aiport?!? The stand at the Detroit airport closed, and I was super bummed that my “welcome back to America TCBY stop” was not possible. 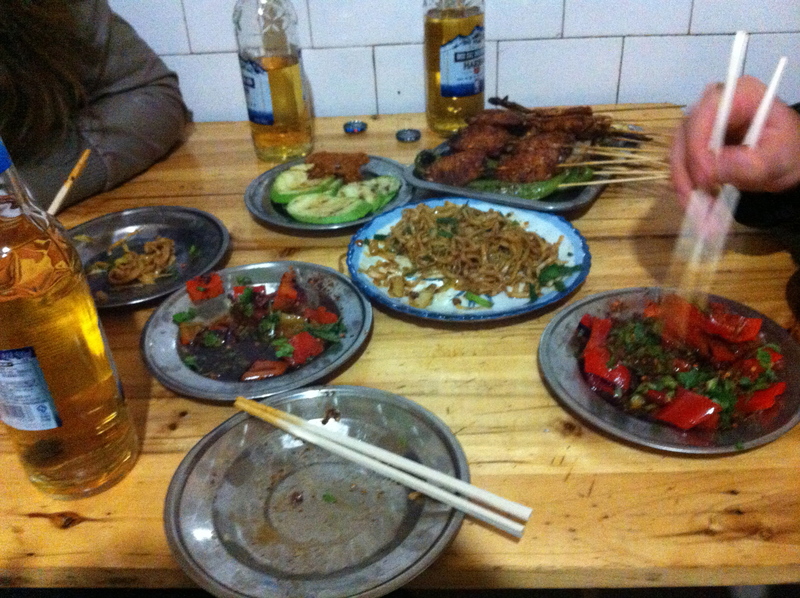 But i got a little taste before my flight from Beijing to Kunming. Dirty little restaurant with great food. The red peppers cooked in a balsamic vinegar-like sauce were amazing. And I don’t even like red peppers! Grilled chicken wings also got high points. Washed down with some of China’s best water, I mean, beer. 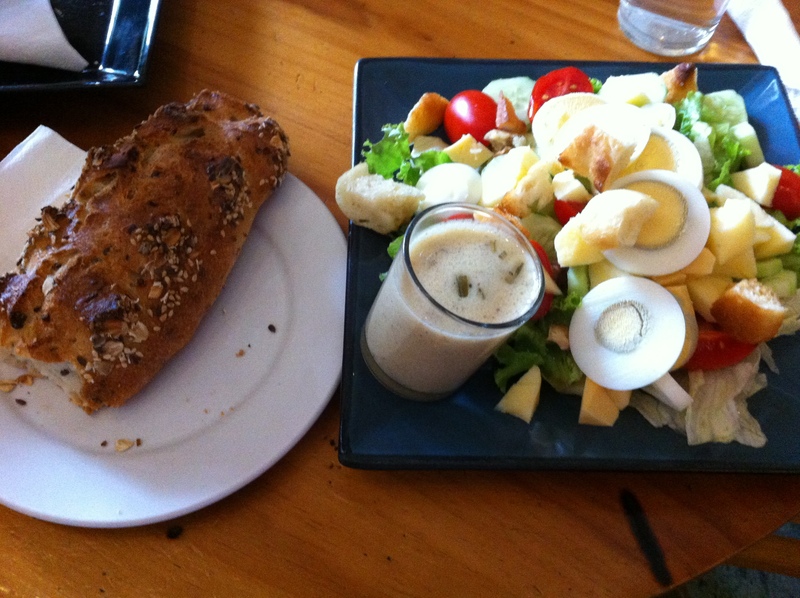 Best salad in Kunming with my favorite freshly baked bread. 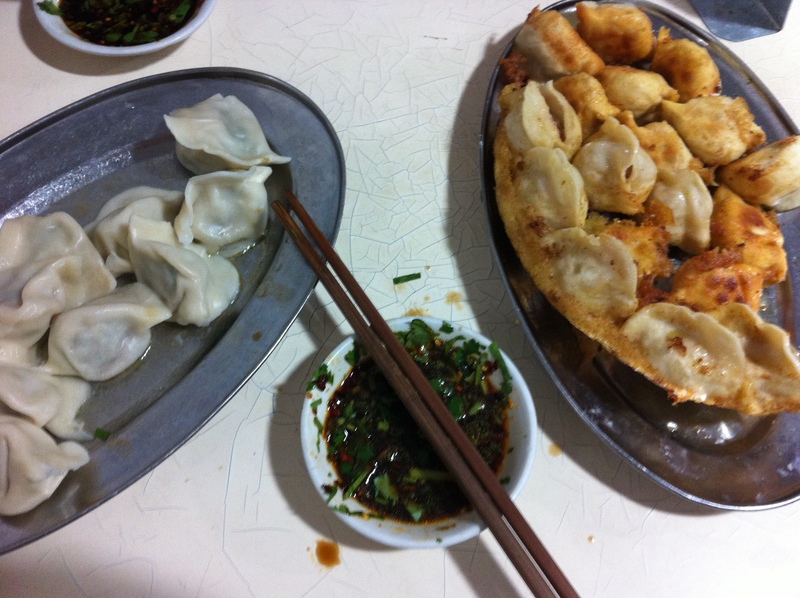 A Yunnan specialty- fresh mushroom hotpot. 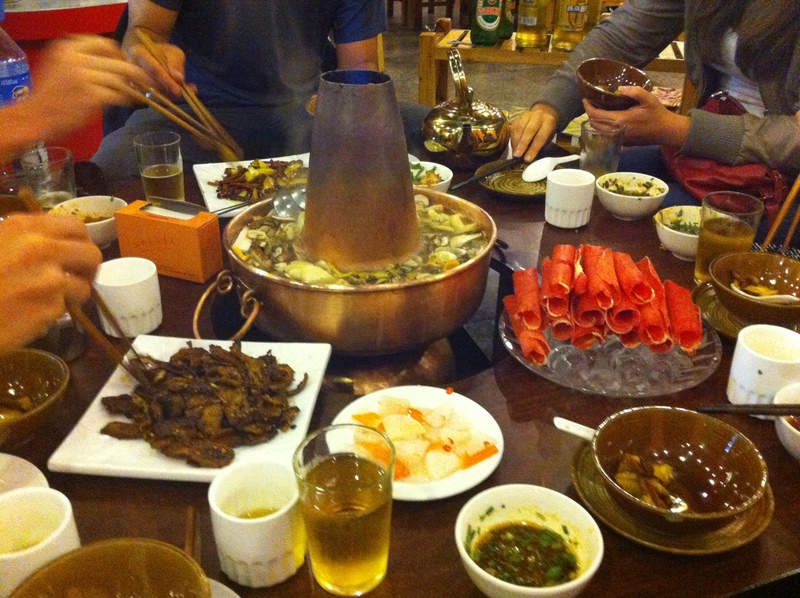 We ordered about ten different kinds of mushrooms (some poisonous if you don’t cook them long enough!) They stew for a while in the broth, then later you can add other, more traditional hot pot stuff like thinly sliced beef, potatoes, and other veggies. Pull them out with your chopsticks and dip in your own, personal dipping sauce and enjoy. Delicious! 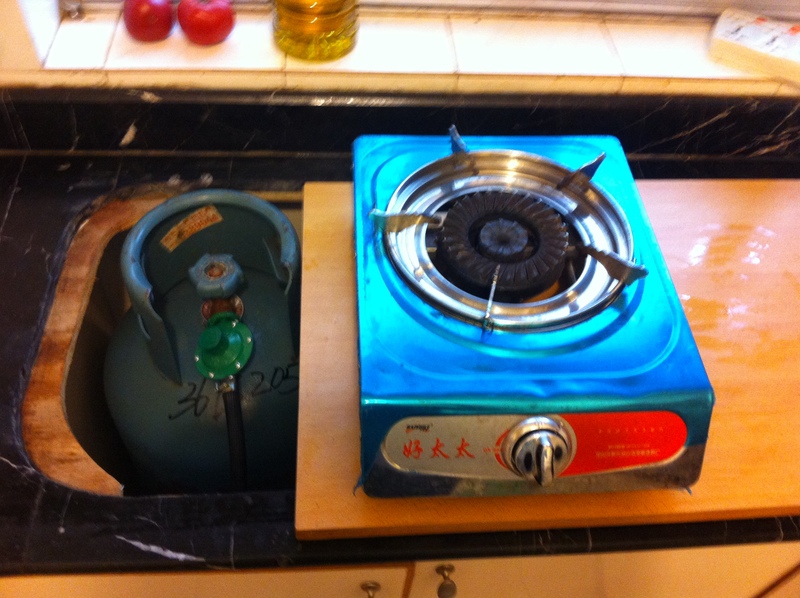 We’ve also found space for our monstrous new oven on the kitchen countertop. I’m ashamed to admit that I haven’t used it yet! But my roommate made apple tarts the other night, and has plans for many more French pastries. Miam miam! Daddy needs one of those burners! I have oven-envy!!! I think I’m buying one next month, after I get my professional development money. Heh, heh. Then be prepared for open oven warfare!!!! 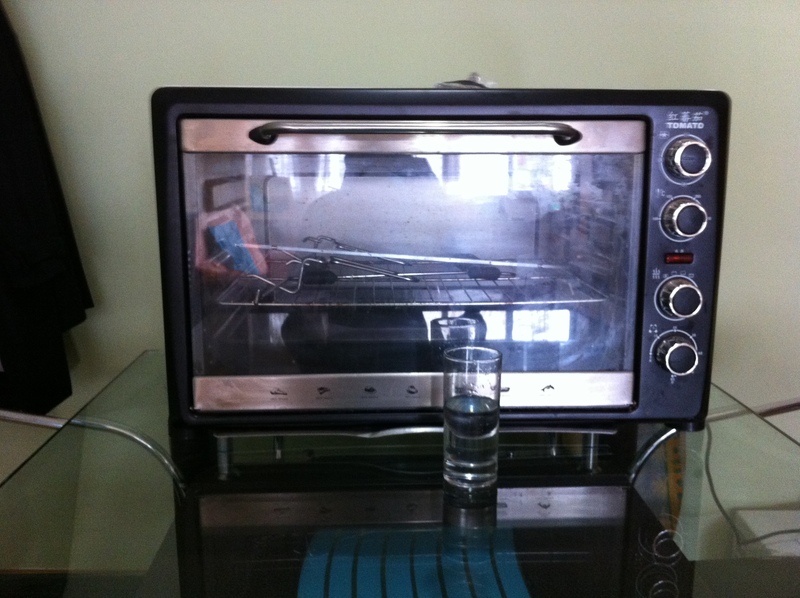 I was able to snag this oven from an expat food critic who was going back to the US. Hoping some of her cooking/baking skills came along with the oven! « New layout: what do you think?